EU ministers on the 31th of May gave their first views on the upcoming EU energy strategy for 2011-2020, agreeing that it should be ready for endorsement by EU leaders in March 2011. During a meeting of the Energy Council in Brussels, EU ministers gave their first input into the energy priorities until 2020. The strategy, originally intended for a 2010-1014 time frame, has been delayed. The EU executive decided to extend the horizon to 2020 to align it with the 'Europe 2020' strategy and give a stable framework for long-term energy investments, an EU official told EurActiv. The ministers agreed that to meet the 2020 climate goals, it is important to first implement existing legislation fully. But considering the long lead time of energy investments, they stressed that the strategy should also be in line with long-term climate goals. The European Commission is planning to present a 2050 energy roadmap early next year to provide a long-term vision for EU energy policy. Many ministers also stressed the importance of external energy policy, calling for progress on interconnections. The difficult economic situation in which many European governments currently find themselves shines through some of the more cautious language of the conclusions, published at the end of the ministerial meeting. The ministers stressed that there is a balance to strike between sustainable energy aspirations and economic growth. They further added that cost-efficient reporting and monitoring requirements, as well as review mechanisms, will be necessary to adapt policies to changing circumstances while guaranteeing national governments the right to decide on their energy choices. The debates feed into a public consultation, which will run until the beginning of July. As part of the exercise, the Commission's energy department published a "stock-taking" document outlining outstanding issues. Among the shortcomings of EU energy policy identified by the Commission are poor implementation of EU energy legislation, lack of interconnected and smart grids, underachievement of energy-efficiency potential, weak coordination of external energy policy and relatively low levels of the R&D spending required to lead on innovation leadership. The implementation of the 3rd internal energy market package, as well as the Strategic Energy Technology (SET) Plan, should be key priorities of the new strategy, the EU executive argued. But while many ministers called for speedy implementation of the projects outlined in the SET Plan, they expressed concern that national administrative burdens could increase. The Commission said the future grid development strategy would be based on its proposal for an Energy Infrastructure Package, to be presented by the end of the year. 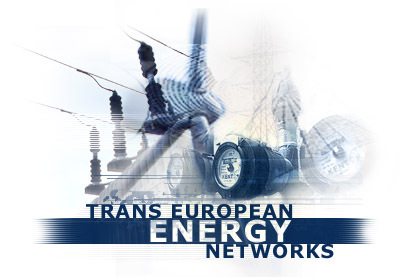 It will include a new instrument to replace the Trans-European Networks for Energy (TEN-E), which defines which projects are eligible for Community financing, to make the networks truly pan-European and develop smart grids, it said. An implementation report on TEN-E last month highlighted major changes that have taken place in EU energy policy in the past few years, including the adoption of the 2020 climate objectives and the third internal energy market package. It argued that TEN-E in its current form has "neither the resources nor the flexibility to make a full contribution to the delivery of the ambitious energy and climate goals". The European Wind Energy Association (EWEA) argued that the EU ministers' call to adopt the energy action plan by March next year is "an important signal that EU decision-makers are serious about reaching the 2020 targets," adding that this is essential to avoid delaying urgent action. "If the EU is to exploit the huge amount of renewable energy resources available, particularly wind energy, action needs to be taken in five key areas by the Energy Action Plan 2011–2020: building a European offshore power grid; improving competition in the internal electricity market; building new electricity infrastructures and smart grids; increasing R&D spending on wind power technology; and effectively implementing the 2009 Renewable Energy Directive," said Christian Kjaer, EWEA chief executive. Paul Voss, manager for energy and environment policy at AEGPL, the European LPG Association, welcomed the move towards a vision for the next phase of EU energy policy, stressing the contribution that clean gaseous fuels like LPG can make to Europe's efforts to establish a more sustainable, secure and competitive energy model. "Given that supply security appears set to remain a persistent challenge for Europe over the coming decades, measures aimed at curbing demand will be absolutely essential," said Voss. He argued that LPG should be part of the solution, pointing to its compatibility with efficient, decentralised energy solutions such as micro-CHP and hybrid systems, "which combine the reliability of gaseous fuels with the inherent advantages associated with these emerging technologies". In March 2007, EU heads of state and government endorsed the first EU energy action plan and called on the European Commission to prepare a new action plan for the post 2010 period. Some offshoots of the current action plan have included far-reaching energy liberalisation proposals, the climate and energy package and the Strategic Energy Technology Plan (SET Plan). The 'Europe 2020' strategy proposal, presented by the Commission in March 2010, incorporated the 2020 climate goals in its flagship initiative to promote a resource-efficient Europe.